Kids, before meeting all your aunts in college, I met your first aunt back in high school. Well, not exactly in the same high school. Heck, your first aunt wasn’t even from the same country as I was. I met her online through the weirdest of ways. Back when I was young, people were using social media websites like Facebook, MySpace, Multiply, and even Friendster. I grew up in an all-boys school which meant that I never really had much contact with the opposite gender for most of my life. Kind of sad, right? Well, it was really sad because I was still awkward as hell. I remember not even being able to talk to any girl my age at the time. Ralph: Oh… Er… Hi… Is that how it works? See? I wasn’t really that kind of guy who’s good in face to face interactions. I didn’t even know how I have friends of the opposite to begin with. I was a real awkward weirdo in high school who enjoyed video games by himself. One video game that I really like is Crisis Core: Final Fantasy VII . Yes, this is important to meeting your first aunt, and eventually your mother. This video game made me actually care about Final Fantasy VII and even the whole series. What I liked about this game is how I see Zack Fair, a new guy that I have no clue about, rise to his dreams and make him somehow relatable. We see Zack go from being a normal soldier to a popular personality around the city and eventually a hero but I won’t spoil that for you. He’s an underdog. He’s a likable guy. He’s a great fighter. Bottom line, Zack Fair is awesome! I would make him your videogame uncle if I could. 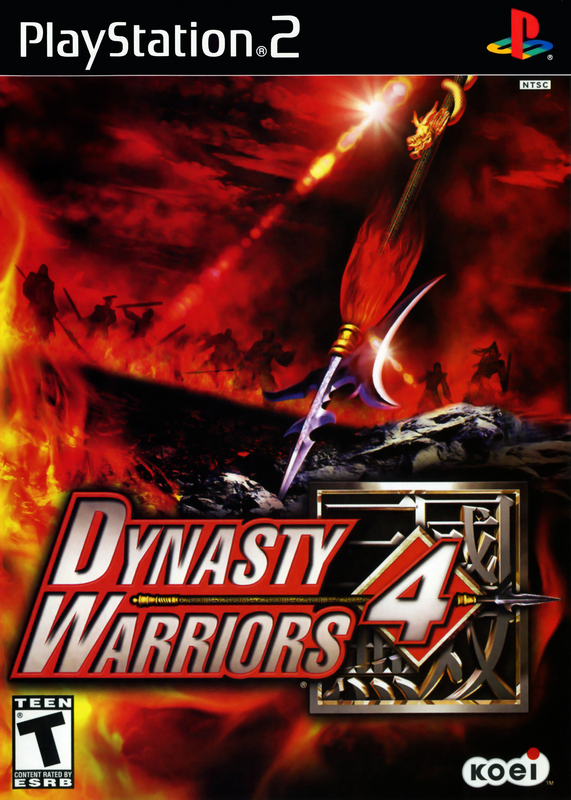 Aside from that, I love Dynasty Warriors, especially Dynasty Warriors 4. I love the game because not only is it the first game that I legitimately enjoyed but it gives me a history lesson with an action twist. I mean, the characters are not historically accurate but at least they let me know and actually remember who they are. They had attitude. They had arrogance. They were the first characters I actually wanted to be. So enjoying Crisis Core and Dynasty Warriors 4 (hey look, a rhyme! ), I wanted to make my own twist to it by writing something that’s basically pointless other than an ego boost – a fan fiction story. Yes, kids, I was *gasp* a fan fic writer. It was a horrible time. I was a writer in that weird website called FanFiction.net and it was one of the oddest experiences I’ve ever had. There were girls trying to pair up straight male characters with each other for no particular reason. It was just weird and really annoying. But I looked at the long-run. Ralph: Maybe this could open doors for me. I mean, all the effort I could actually be putting here would make me improve my writing style. Maybe it could even attract fans and new friends! All the answers there were no. But I’ll get to that later. I made a story called “Heroes From Across Time” which was basically a crossover of two of my favorite games - Dynasty Warriors 4 and Crisis Core. I won’t get to that because it’s just too damn long and tedious to recap. Basically their worlds collided. DONE! End of fan fic. The best part of writing that story was actually making these characters come to life in my own universe. Granted, not every character was used but still, I know I stuck close to how the characters were canonically established. I kept a steady schedule of one month per chapter and each chapter would consist of eight pages each. I know that sounds a bit slow but I didn’t have free time because of school and playing other video games (Dedicating your free time to fan fiction is a bit sad, you know?). Each chapter was horribly long and the pacing was slow. Can you imagine me telling you a story in such a slow manner with lots of side twists? Anyway, five chapters into the story, I finally got a fan. Her name was, well, I really can’t remember. Let’s give her an alternative name. How about “Lee”? There we go! I got my first fan named Lee who reviewed my story and constantly gave me praise. Is she one of your aunts? Well, I’ll get to that later.